State lawmakers will again try to move Oklahoma's Native American Day to Columbus Day, less than a year after former Gov. Mary Fallin vetoed a popular bipartisan bill that would have done so. Reps. Mike Osburn, R-Edmond, and Collin Walke, D-Oklahoma City, have introduced separate but identical bills moving the state's Native American Day from the third Monday in November to the second Monday in October, which is currently Columbus Day. Walke, who is also a Cherokee Nation member, said it's time the state give tribes and tribal members the respect they're due by moving Native American Day to October. Former Rep. Chuck Hoskin, who sponsored the 2018 bill, is now chief of staff for the Cherokee Nation. He sought out representatives to usher the bill through the Legislature this year and found no shortage of support, he says. “Looking back at the support that the bill had last year, I'm really not aware of anything that would cause any kind of negative response,” Hoskin said. The Legislature overwhelmingly passed his House Bill 2661 last year to move Native American Day to October. The House backed it by a margin of 71-10 and the Senate did so by a vote of 35-5. But last May, Fallin vetoed it, writing in her veto message that it "could be viewed as an intentional attempt to diminish" other designations, such as the Native American Heritage Month in November. The move shocked and frustrated Hoskin and others who were expecting a signature, not a veto. Fallin left office last month, handing the reins to a Cherokee Nation member, Gov. Kevin Stitt. A spokesperson for Stitt said his office is withholding comment until the governor has had a chance to meet with stakeholders and consider the legislation. Osburn, Walke and Hoskin say they've received no assurances that Stitt will sign their bills. 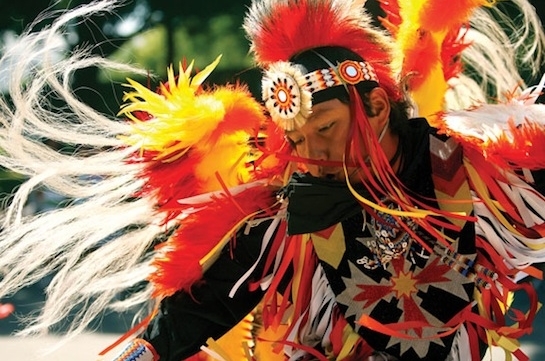 South Dakota currently celebrates Native American Day in place of Columbus Day. Vermont and Alaska observe Indigenous Peoples Day on the second Monday in October. Seven cities in Oklahoma also observe Indigenous Peoples Day on that date. On Jan. 11, leaders of Oklahoma's Five Tribes — the Cherokee, Choctaws, Chickasaws, Creeks and Seminoles — passed a resolution fully supporting the Osburn and Walke bills. 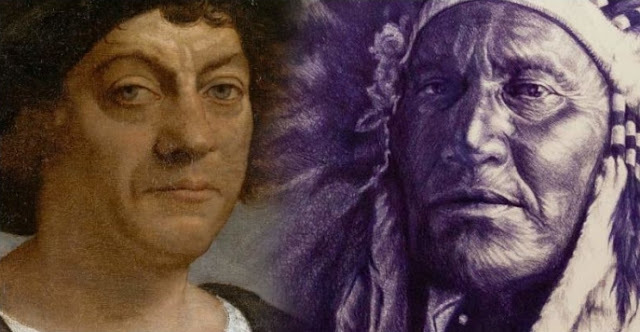 Responses to "Oklahoma Legislators seek to replace Columbus Day with Native American Day"